COMBO: HALACY GET 'EM ALL! 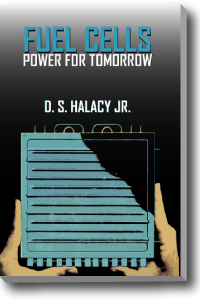 Fuel Cells - Power for Tomorrow, The Solar Cookery Book, Fabulous Fireball / Experiments With Solar Energy, now with 2 FREE E-books for immediate download - Century 21 and They Gave Their Names to Science, and a FREE 9" SOLAR CONCENTRATING MIRROR - $64.95! The FREE E-books are an immediate download! Begin learning while we ship your books!